Human trafficking is a crime which sees people exploited for someone else’s personal gain. Often, people are exploited in multiple ways at the same time; they can be forced into labour, criminality, prostitution or domestic servitude. Regardless of the circumstances and irrespective of their migration status, people who have been trafficked and exploited should be recognised and protected. 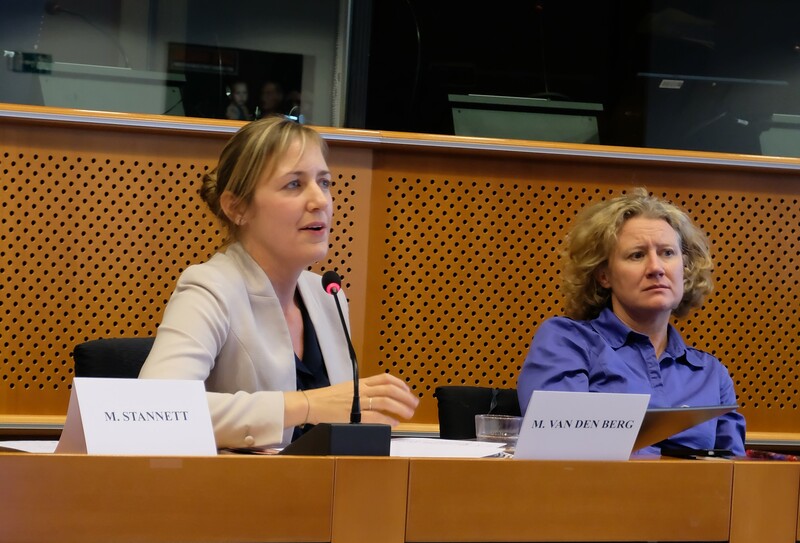 For the EU Day against Human Trafficking on 18 October, Marieke van den Berg from the Netherlands Red Cross spoke at a European Parliament hearing organised by the Salvation Army EU Affairs Office and the Greens/European Free Alliance (Greens/EFA) political group. The event addressed prevention of human trafficking, and the protection and reintegration of survivors. During the hearing, Ms van den Berg, who is one of the co-chairs of the European Red Cross network against human trafficking (ATN), spoke about different initiatives implemented by Red Cross Societies across the EU. In several European countries, the Red Cross works to reduce local and migrant populations’ vulnerability to human trafficking by raising awareness of the risks. For example, in Croatia, the United Kingdom and the Netherlands, the EU-funded “Sustainable integration of trafficked human beings through proactive identification and enhanced protection (STEP)” project aims, among others, to increase knowledge among asylum seekers of the warning signs of trafficking. In the Netherlands, the Red Cross partners with key actors in the asylum system to mainstream human trafficking messages into the information that asylum seekers already receive about, for example, the labour market and safety. Ms van den Berg also explained that survivors are generally very vulnerable once the exploitative situation has ended, often urgently in need of accommodation, psychosocial and casework support. In various countries, the Red Cross provides this type of assistance directly. Indeed, “accessing social and legal support is a key step towards a new life”, reiterated Madeleine Sundell from the Salvation Army in Sweden. Unfortunately, survivors are too often seen as offenders, instead of victims of human rights violations, which limits their access to crucial services. Recognising them as victims should therefore be States' overarching consideration to prevent increased vulnerability. 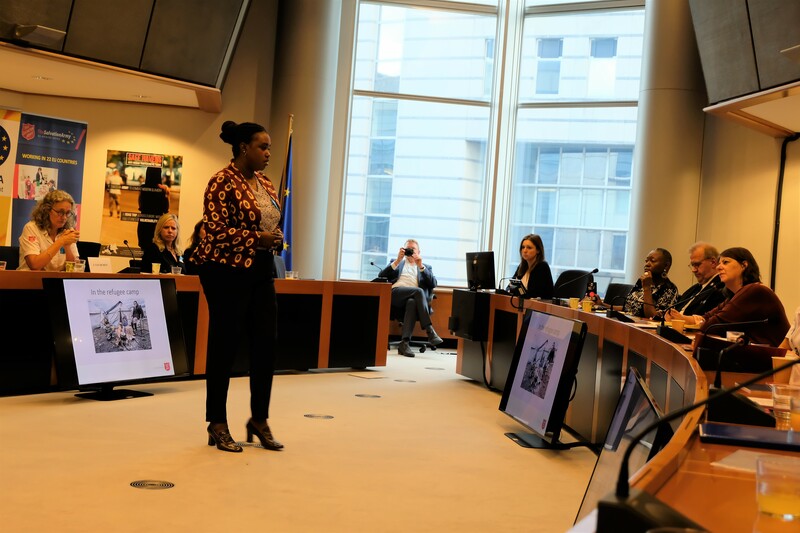 The importance of guaranteeing access to healthcare, including mental and specialised healthcare, was underlined by representatives from the Salvation Army in the Netherlands, Ineke Van Buren and Malaika Oringo. They also stressed the need to provide vocational training opportunities to help people build a new livelihood outside of exploitative conditions and reduce the risks of them being re-trafficked. Member of the European Parliament (MEP), Judith Sargentini (Greens/the Netherlands), underlined the difficult situation faced by migrants in an irregular situation, highlighting their fear of being apprehended, detained and returned as a clear barrier to being able to safely report human trafficking. She also urged for the needs of survivors to be the starting point, and not police investigations or questions around immigration status. In this regard, it is crucial that EU Member States do not prosecute or punish survivors of human trafficking for their irregular entry or residence. The current EU legal framework stresses that human trafficking victims hold certain rights. They must not only be informed of these rights but should also have the possibility to realise them. “We must include the perspectives of survivors in our policies to successfully reduce the suffering caused by human trafficking”, concluded Ms van den Berg.